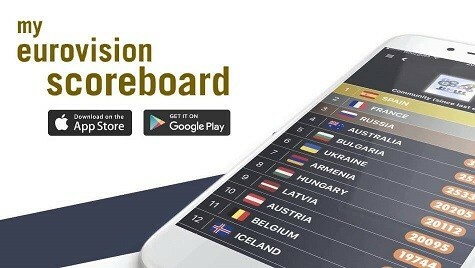 Last month, MyHeritage — the official sponsors of Eurovision 2019 — launched their Eurovision doppelganger app. The app tells you which Eurovision star you most resemble. We had a lot of fun trying out the app, finding out that Netta looks like Saara Aalto and Alexander Rybak resembles Mikolas Josef. So we just had to try out our own faces to find out Team Wiwi’s doppelgangers. You can find out your Eurovision Look-alike by clicking here. For years people have joked that our London-based editor-in-chief looks like Bulgaria’s 2017 singer Kristian Kostov. After all, they both share mixed Asian and Caucasian heritage, dark hair and symmetrical faces. So William wasn’t particularly surprised when the MyHeritage app returned Kristian with almost every single upload. The more gaunt William made his face, the higher the percentage of the match. Happy, angry, neutral — no matter the expression, the app almost always say the “Beautiful Mess” hitmaker. Our Deban is turning back the clock for his match. Deban is actually Eurovision 1964 winner Gigliola Cinquetti. Whether or not Deban was alive at the time is irrelevant — we can confirm that the likeness is more than just a coincidence. Our Armenian correspondent is building bridges to Azerbaijan. Antranig has tried out the test multiple times, with mixed results indicating a combination of Raphael Gualazzi, Chingiz and Omar Naber. After extensive research, it seems that our Antranig once finished second at Eurovision, representing Italy at Eurovision 2011. How will he go this year when he represents Azerbaijan? Whether it was the facial features or just the blue clothing, Jonathan is “listening to what the horizon says” and now streaming “Kuula” by Ott Lepland, Estonia’s Eurovision 2012 representative, on repeat. Our new music editor may be British with a French surname, but clearly his true roots are found further east in the Baltic. You will currently find him filling out his Estonian residence permit (and forgetting about the other lookalike attempts that matched him with Celine Dion, Chiara, Glennis Grace and Lenny Kuhr). Our Dutch correspondent Renske has been asked about her natural hair colour since a young age as all other children in her native village had blonde hair. Perhaps Renske is not as Dutch as her name may sound? With every photo she tried, her dark locks matched perfectly with those of Armenian songstress Srbuk, who will represent the country with her song “Walking Out”. Our Australian correspondent with Argentinian and Italian roots has spread his roots a little further east to Romania, with the news that, on two trials with the Eurovision Lookalike app, he most looks like 2006 Romanian representative Mihai Trăistariu. Perhaps he was channelling Mihai’s own Italian flavours with the Italian-titled 2006 entry “Tornerò”. And no doubt he also channels Mihai’s passion for selfies and Snapchat filters. His real name might be Sebastian, but he prefers to now go as S E B A I. Just used the #eurovisionlookalike app courtesy of #myheritage and I’m really liking the result. It sees the Mediterranean in both of us! @amir_officiel_ @wiwibloggs ???????? He might have Croatian heritage but the Eurovision Lookalike app thinks there is more to that as it casts its way along the Adriatic and Mediterranean Seas to multiple countries. Who does he most likely look like? None other than 2016 French representative, Amir, having been born in France to parents from Morocco and Tunisia and having moved to Israel at a young age. The app sure is building bridges between many countries, just like Eurovision. Hold up a minute and slow down. Could our Mikhail really be Dutch star Douwe Bob? According to the app, Mikhail might hail from much further west than Prague. Mikhail could certainly pass as a Douwe Bob impersonator in his spare time, he just needs to get that neck tattoo to complete the deal. If he’s not from Amsterdam, the app thinks Mikhail could also be Sergey Lazarev. What do you think of Team Wiwi’s doppelgangers? Who is your Eurovision Look-alike? Let us know in the comments below. And don’t forget to check out our Eurovision Look-alike video below! I got Loic Nottet, and I remembered that my schoolmate said that I look like him in 2015. I tried a lot of times and almost always I got Sandra Kim 55%. And I am a male. Sorry for bad English. I did it a bunch of times (with different pics) and kept getting Victor Crone. Guess we’re just both storms like this… or that. I tried this a couple of weeks ago, and I got Malta’s own Chiara. If Electric Fields had won for Australia, we’d know which match Deban would be! I got Doris dragovic from Croatia 1999. You mean… his digital pulps? Weird, but OK.